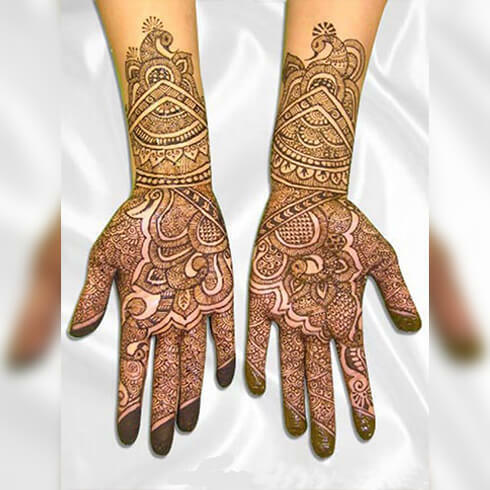 Mehandi is a type of body art made out of henna leaves and was first discovered in ancient India and since then has been used as a tradition in weddings and marital saga. No wedding is complete without mehandi. 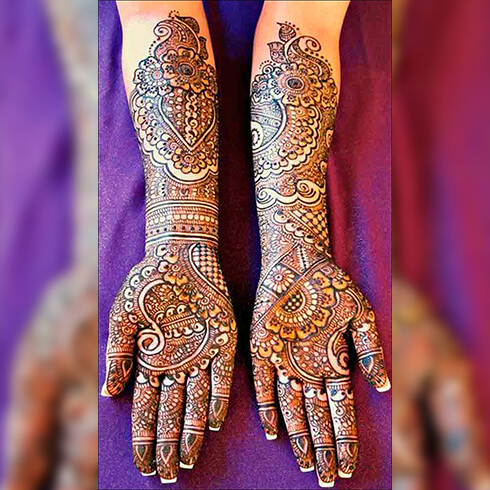 Name a bride who didn’t have mehandi on her hands on her special day. You won’t be able to. Anushka Sharma, Kareena Kapoor, Sonam Kapoor or the newlywed Neha Dhupia, all of these actresses had beautiful henna designs on their D-Day which completed their look and made them look nothing less than a fairy. 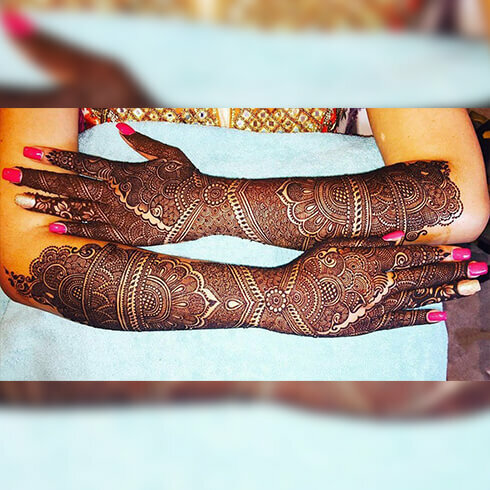 Not even actresses’ ordinary people like us consider applying mehandi on their D-day as a good luck or “shagun”. 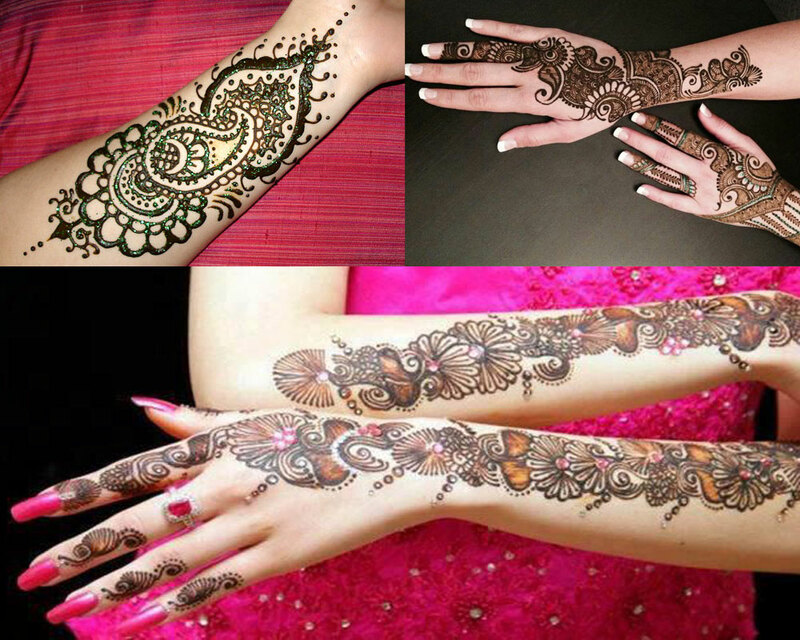 We have provided the trendiest and gorgeous 90 henna designs which will light up any occasion and make you look your best and also add that ethnic and traditional vibe to your look. Stay tuned! This is one of the trendiest designs so far and is the absolutely favourite of young girls and even brides. 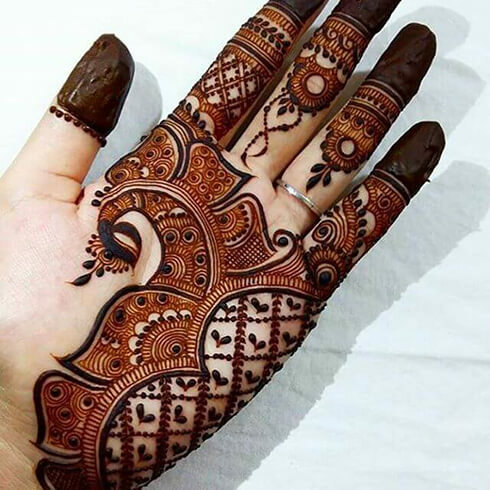 This is common among brides these days and you will be able to spot almost every other bride with this kind of henna pattern on her hands. 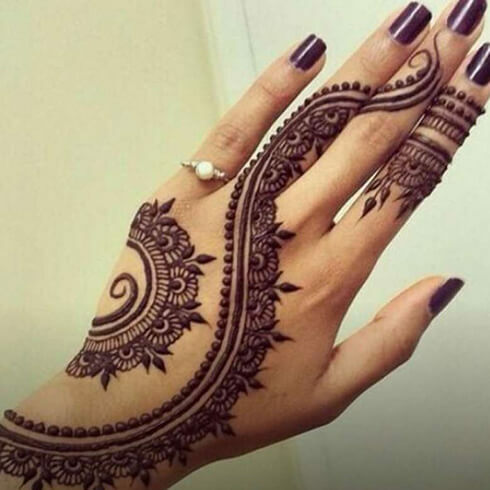 It looks like a comma to be specific and is sure to light up your henna saga. 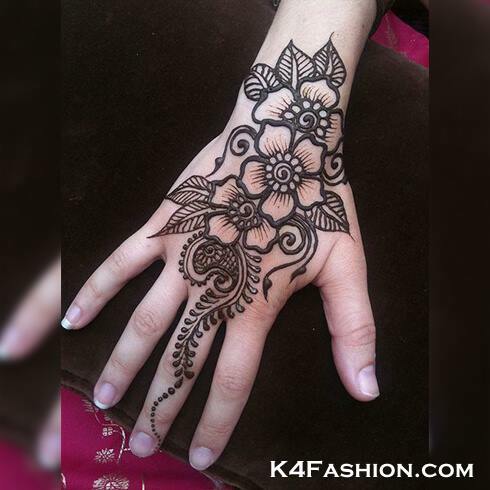 This is probably the oldest henna designs so far and is still in fashion. Doing justice to the saying “old is gold”, this design never disappoints us and looks beautiful when done on both the front and back of the hand. This is yet again the most decent and common designs. In this you can see a tail of flowers running from the fingers to your wrist and making you look absolutely stunning. 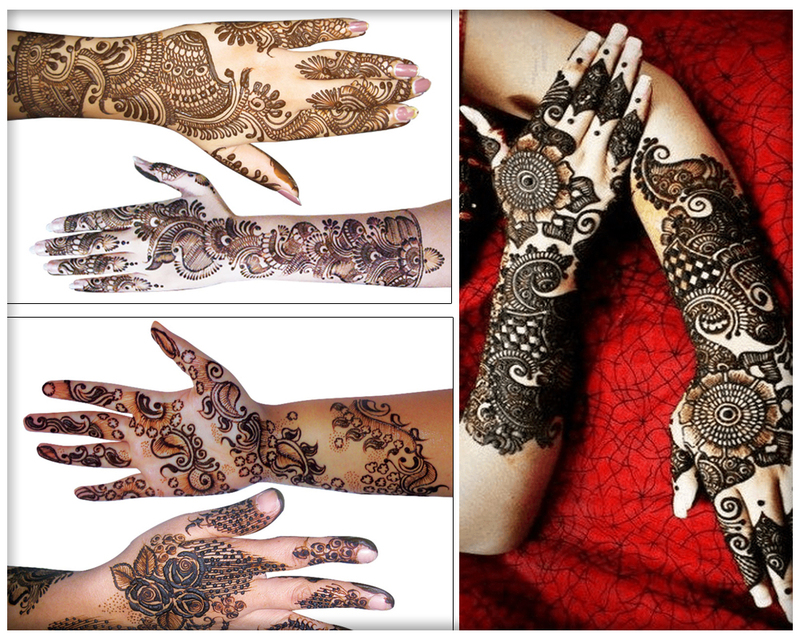 The reddish brown colour of the henna is sure to make your hands look their prettiest. This is commonly seen on big events and on weddings. 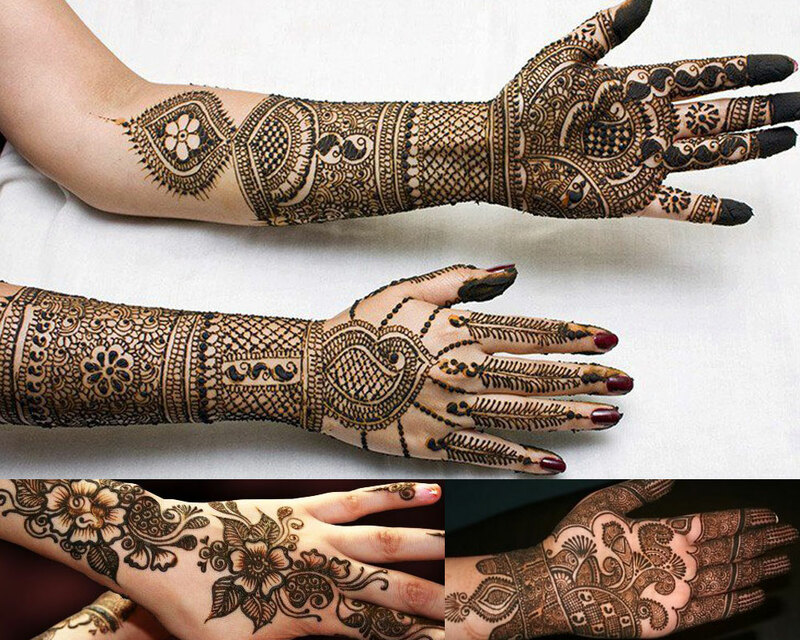 A bride is usually seen donning her mehandi till or above the elbows and even on her feet. Just like the floral design, this is also simple to make. Stick with this design when you don’t have time on your hand. Simplicity is the best policy and this design strictly abides by this saying. The design is also referred as a “bel” and it’s due to its tail going on from the fingers to the wrist. 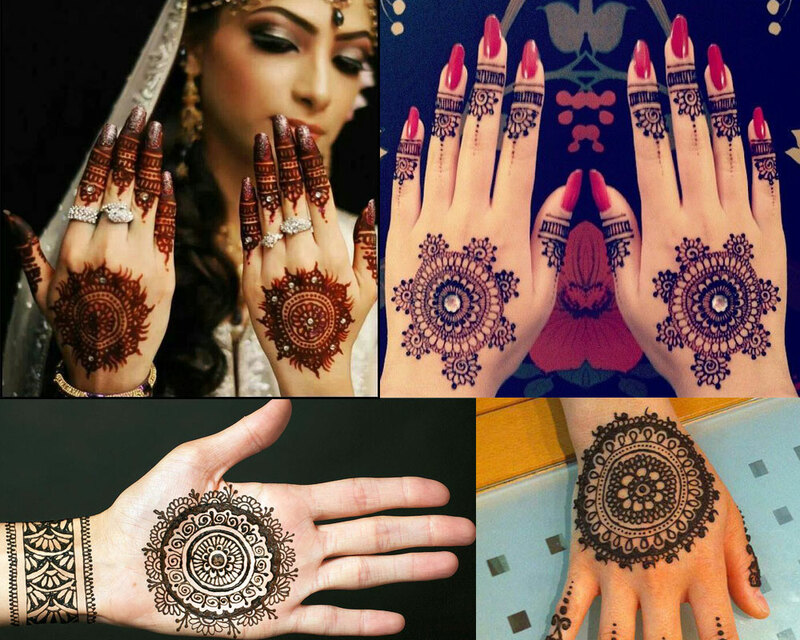 Known for their complex structure and ethnic vibe, these designs look flawless on hands and one can’t help but stare at them. 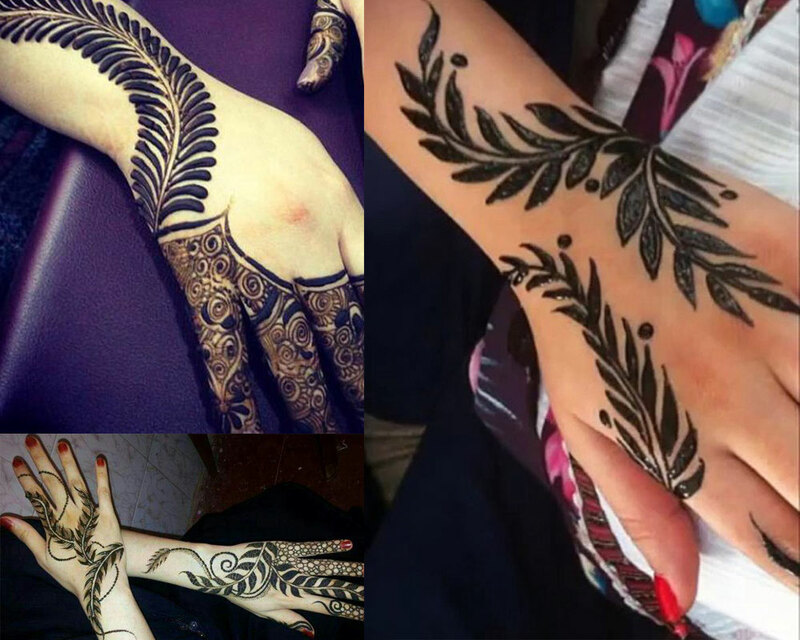 Unlike the Indian version of mehandi, these designs are trendy and are a lot simple. 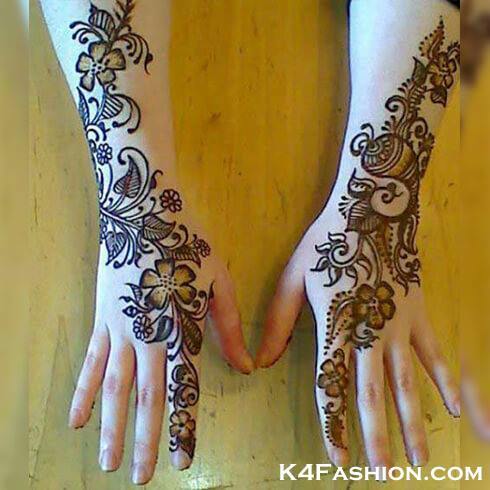 One can make these designs on their own as they go in a diagonal line from the hands to the wrists. The Arabic version of henna is sure as hell to catch the attention of everybody present in the room. 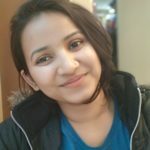 The days of brown and reddish henna are gone and forgotten. 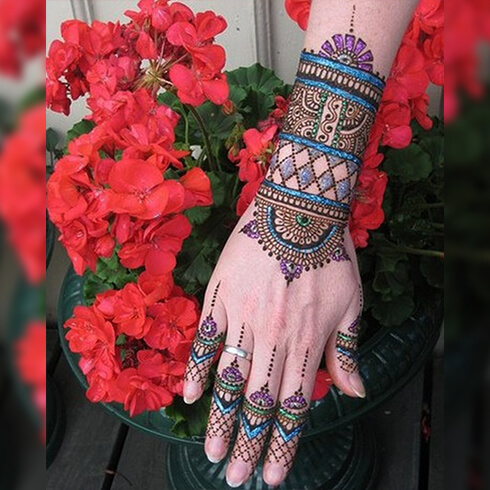 Multi coloured henna is the new and big deal. 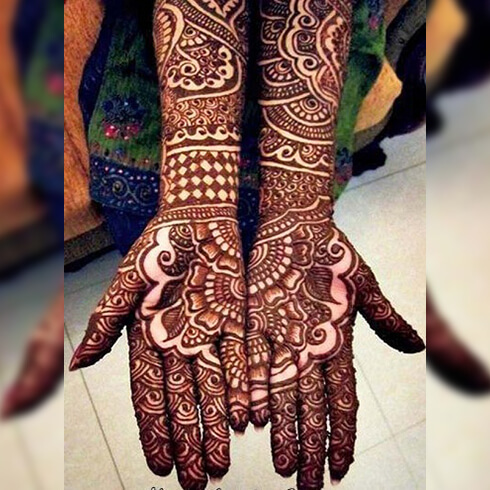 This kind of design shows your quirky side and adds life to the traditional mehandi. It’s like henna turned modern. Just a touch of glam! 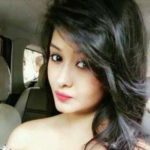 Going by the name, these designs are best suited for college girls and our young fashionistas as they add a hint of charm and elegance and make your appearance look off the charts. Give this design a shot if you have to attend a small function or a pre-wedding get together. 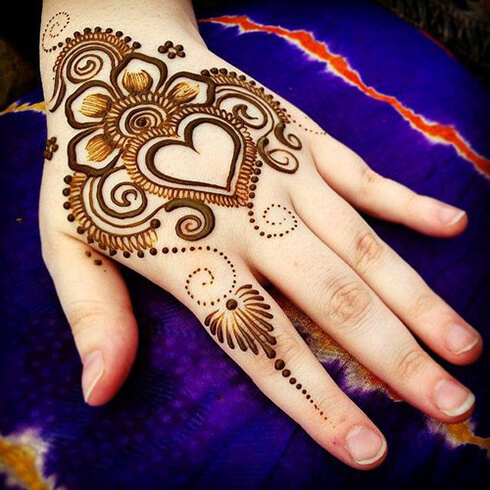 These little hearts of henna definitely caught our heart and is our absolute favourite. 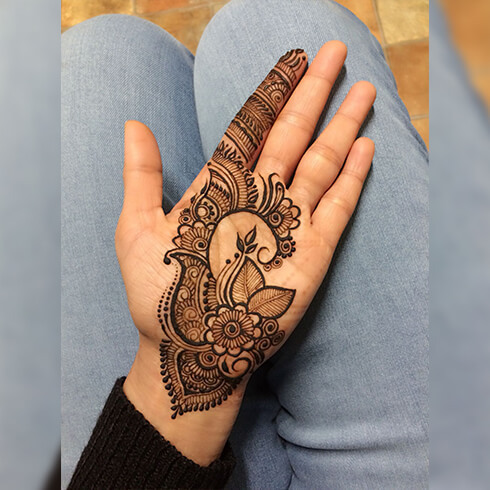 It’s time to add some spice to the same old mehandi designs. 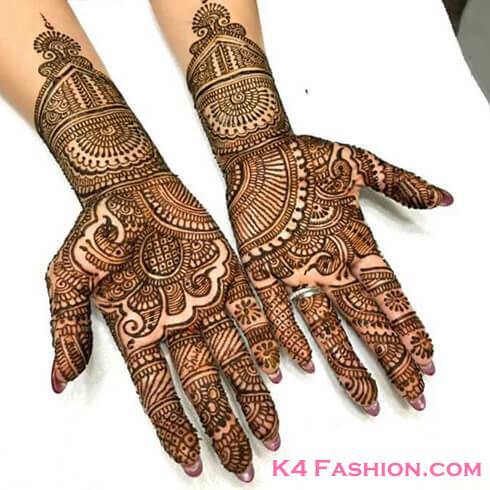 This is a fusion of Gujarati culture and classic henna and is amazingly gorgeous on hands and feet. Je design ghano sunder lageche! These designs are known for their complex nature and full coverage. These are best suited for brides to be as the work is quite heavy and would make you look super duper elegant. Hi there , stunner ! These designs are as soothing and loved as the culture. 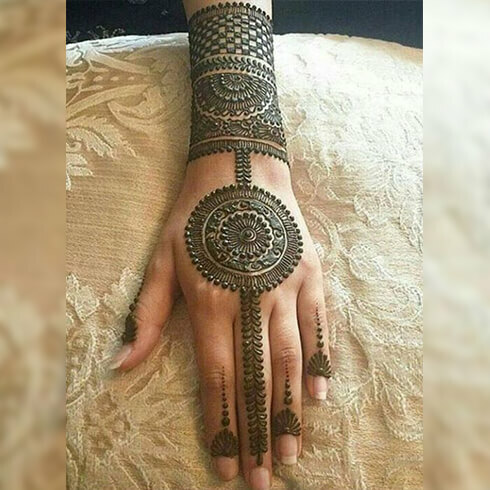 Though they don’t have that much coverage and usually the work of henna is situated on the palm of the hand , this design is highly classy and spectacular.